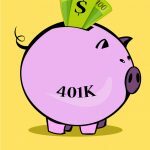 Pension vs 401k | What Are the Major Differences? 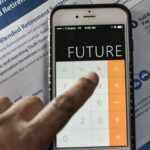 One of the biggest changes to hit retirement planning in the last 30 years has been the shift of defined benefit pension plans to 401k employer sponsored plans. Basically the difference between the pension vs 401k was that it shifted the responsibility of saving and planning for retirement from the employer to the employee. 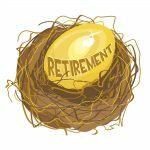 This transition started around the 1980’s after 401k plans were created and started gaining more popularity. As you can guess, this was a huge cost save for employers because they no longer had to administer and maintain the plans of their employees and retirees. Despite whether you think one is better than the other, this shift in plans has been met with a great deal of criticism from everyone ranging from the media to politicians. Guaranteed income – As long as the pension plan remains intact, you should receive income for life. Basically you will never run out of money. Little to no maintenance. You don’t have to do anything with this plan except participate. Someone else (a professional presumably) picks the funds, administers the accounts, and maintains them throughout your life. Semi-guaranteed employer participation. 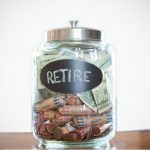 With a pension, it is almost always assumed that the employer will make contributions to the retirement pool to disperse to the pension owners. However, the details as to the minimum amounts are unclear. Mandatory participation by you. Participation from you is usually mandatory. You have to contribute whatever the employer pre-set amount is. Nothing higher or lower. Your money is always legally yours. Whatever money you contribute is yours (at market value). You can log in to your account and check on it at any time. This is not always the case with a pension. 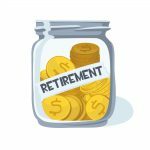 There is usually an ambiguous calculation to determine what your “cut” of the pension is before you reach your full benefit. You can change jobs. 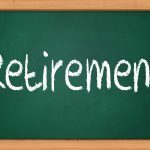 Because your 401k account is always yours, you no longer have to spend 30 years with one employer to enjoy a full pension retirement. For example, when my sister moved to Massachusetts after her husband found a better job offer, they didn’t have to sacrifice any of their established retirement savings with the previous employer because all of that money remained under their control. You have full management over your money. Similar to the comparison of an IRA vs 401k, with a 401k, you make the decisions about the money management of your funds, not someone else. Just imagine if you worked your whole life and then found out the money was mismanaged. Unfortunately pension failure is a reality that can sometimes happen. Voluntary participation. 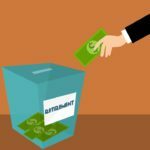 If you ever needed to (but I don’t recommend it), you can suspend your contributions to the 401k plan. This would not be possible with a pension. You can pick how much you want to contribute. As we mentioned above, pension plans had a pre-determined amount. With a 401k, you can pick how much or little you want to put into the plan each time. You can pick which investments you want to have. Do you want to invest conservatively or aggressively? You decide. With a pension, you did not have this flexibility. You can borrow against it. If you need a loan because you plan to buy a house, are having hardships, have educational expenses, etc, you can borrow certain amounts against your 401k plan. This was not possible with a pension plan. You might be able to redeem it sooner. 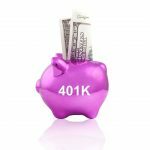 You are legally able to access your 401k plan money by age 59-1/2 (or even age 55 under certain considerations). 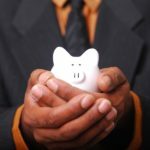 When you compare a pension vs 401k plan, the 401k can be a big advantage if you are not eligible for a full pension benefit until after age 59-1/2. However, the reverse could also be true where you reach your full term with the pension before age 59-1/2, making that the more favorable plan. You can roll it into an IRA if you wish. 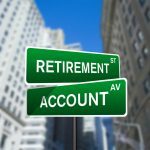 If you switch jobs and decide not to keep your money in your old 401k, you have the option to convert it into an IRA. Employer contributions may help out tremendously. 401k contributions from employers are allowed to be very generous. If you have an employer that takes advantage of this, it can work out to quite a bit of money for you. You decide how much to withdraw. 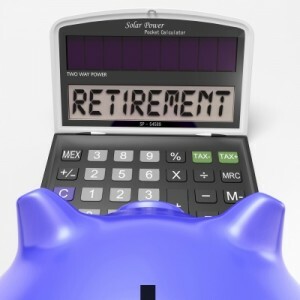 When you retire with a pension, you were only going to receive a certain amount each month. With a 401k, you get to decide how much you want to take out each month. That amount can fluctuate as much as you need. However, you will also need to use caution not to take too much out for fear of running out of money. This is a good look at the differences. Keep up the great content! I think either can be great. With a 401(k) you gain more control. In my eyes the main problem is they didn’t educate people enough. Generations grew up with pensions and didn’t have to grow up planning for retirement. Then they change things and my parent’s generation had to figure out/ or not figure out/ what to do without much guidance. Good post and nice list for each. In my opinion there are no downsides to a pension. 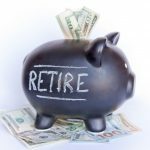 However as we will likely see with the Detroit situation retirement savers should not assume that their pension will always be there and they should save in addition to any pension benefit they might accrue.